The Recon MKII barrel extension looks good on other blasters, too! This barrel extension, which is normally only available together with the Recon MKII, is now available individually here. So if you only need the barrel, you can grab it here. The barrel of the Recon MKII can be attached to all dart blasters that have an appropriate barrel attachment point. It affects the range significantly less than, for example, the Retaliator barrel extension, but still gives blasters a nice visual finish. 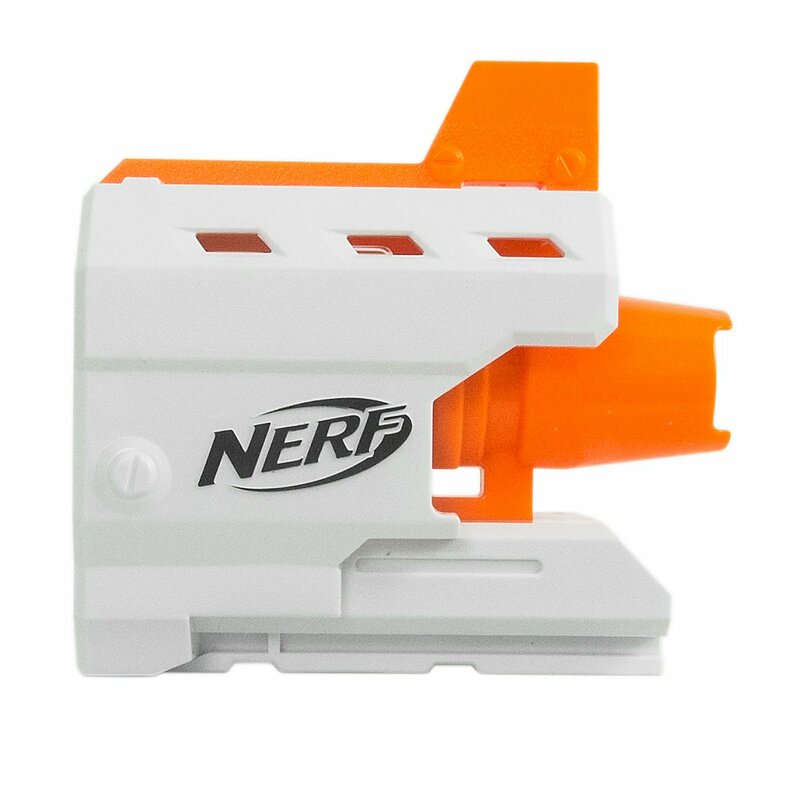 The short size makes sure small blasters like the Stryfe keep that special compact look. This is the version with functional Tactical Rail, so that you can mount foregrips and other attachments. Hasbro has dispensed to use plastic sheets and colorful printing in the packaging of the Recon MKII barrel. This type of packaging is not only environment-friendly, but also cheaper, which is reflected directly in the price!